“Grease,” as they say, is the word. And the word will be heard starting this weekend at Spokane Civic Theatre. “Grease,” the 1971 musical that spawned a hit 1978 movie and countless high school productions, opens on Civic’s main stage Friday. It tells the story of Sandy and Danny, two high school kids who enjoy a summer romance at the beach. When school starts, Danny returns to Rydell High School, where he leads a pack of “greasers.” When Sandy transfers to Rydell, Danny plays it cool to impress his friends, leaving Sandy feeling confused and angry. Yvonne A.K. Johnson, Civic’s executive artistic director who is directing “Grease,” said both Spencer and Keene are “triple threats” – singers, actors and dancers – who have good chemistry on stage. “She’s had a banner year, that’s for sure. Quite a talent,” Johnson said. The bulk of the cast is made up of high school students or those recently out of high school, Johnson said. There are only three adult roles: Miss Lynch (Ryan Marie Patterson), Vince Fontaine (Jhon Goodwin) and the Teen Angel (Mark Pleasant). Pleasant, who was Daddy Warbucks in “Annie” last year and Phil Davis in “White Christmas” this season, will make the most of his small part, Johnson said. He’ll be dressed to the hilt, with the fog machines going full blast. So Civic wrote to request permission to use the songs in their production, and incorporated them into the show. 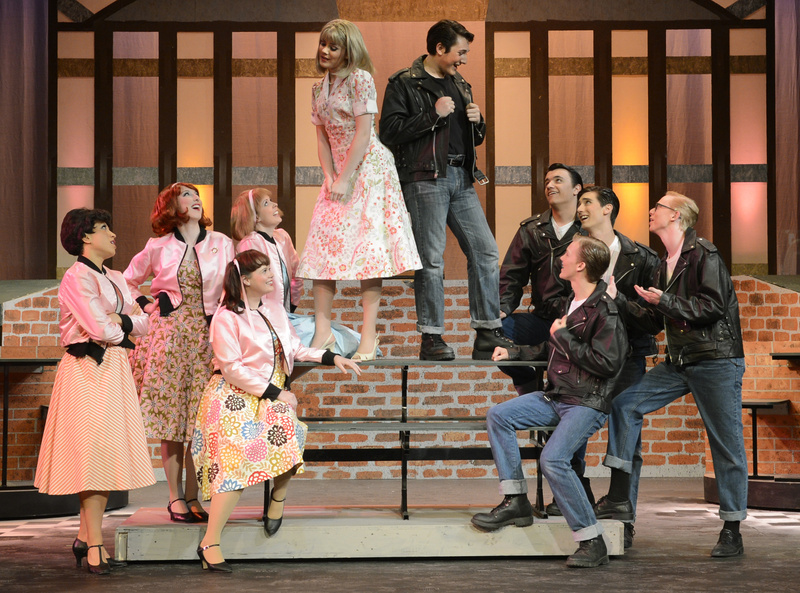 With a show such as “Grease,” which is so widely known, there’s a delicate balancing act between keeping it fresh and meeting the audience’s expectations. Part of keeping it fresh is the set, designed by Matthew Egan, Civic’s assistant technical director. Johnson said it’s intended to evoke a Wurlitzer jukebox. They’ve built their own car – the Greased Lightning – and will use slide projections of images to help set the mood.